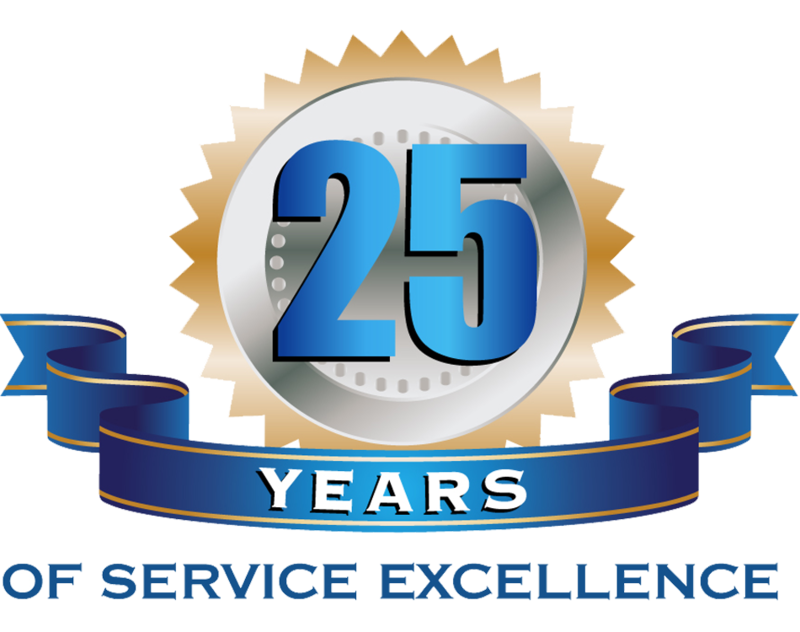 This month marks a major milestone year for ASK Technologies, Inc. – it’s our 25th anniversary! To put that into perspective, Microsoft had just released Windows NT when ASK was founded. As we reflect on how far our company has come, we must give a huge thank you to our incredible clients – your loyalty and trust in us throughout the years allows us to push our boundaries and challenges us to strive for excellence in all that we do. Our clients are more than just clients, they are family. The relationships our company has built – and will continue to build – with each of our clients will always be our number one motivator for success. Being in business for 25 years would not have been possible without the amazing people within our organization. We are incredibly thankful for the hard work and dedication from our employees, and are so appreciative to be able to work with each of them every day. This milestone would not be possible without them. We are proud of the progress we have made and are thrilled to see what the next 25 years holds for our company. 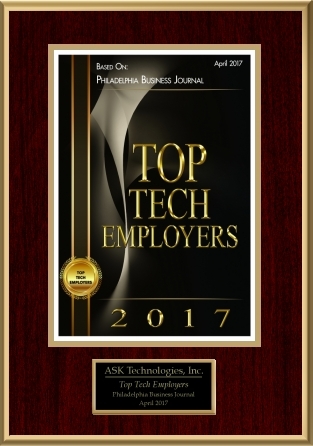 ASK TECHNOLOGIES, INC. is once again a proud recipient of the Philadelphia Business Journal prestigious awards for “Top Tech Employers”. This marks the fifteenth consecutive year that ASK TECHNOLOGIES, INC. has been recognized as an industry leader in the Philadelphia and Metropolitan Area. 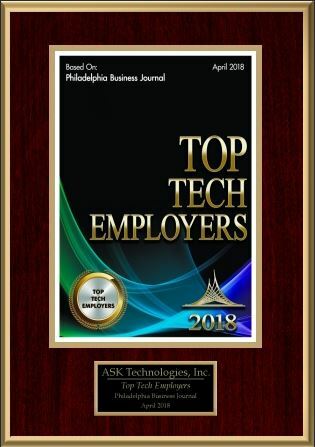 ASK TECHNOLOGIES, INC. is once again a proud recipient of the Philadelphia Business Journal prestigious awards for “Top Tech Employers”. This marks the fourteenth consecutive year that ASK TECHNOLOGIES, INC. has been recognized as an industry leader in the Philadelphia and Metropolitan Area. 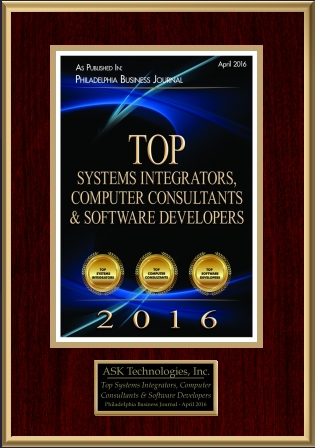 ASK TECHNOLOGIES, INC. is once again a proud recipient of the Philadelphia Business Journal prestigious awards for “Top 25 Systems Integrators” and “Top 25 Software Developers”, and new this year, “Top 25 Computer Consultants”. This marks the thirteenth consecutive year that ASK TECHNOLOGIES, INC. has been recognized as an industry leader in the Philadelphia and Metropolitan Area. Is Your School’s Network Strong Enough? Is it time yet for school districts to start shopping for core network services with the same vendors commercial enterprises use? Yes. IT networks are as important to schools now as classrooms and libraries and offices. Networks give teachers access to course content and students access to assignments—and they allow everyone to learn collaboratively. Yet most school districts still depend on spreadsheets for IP address management (IPAM) and Microsoft for DNS and DHCP—legacy tools unsuited for the technology revolution taking place in education today. Twelve years ago, I came to Council Rock School District (CRSD) in Newtown, Pa., from the private sector, and saw that I had a challenge—18 buildings with an aging ATM network that was barely working. Rather than trying to fix it, I replaced everything. I got it running—but we still had frustrations. I had my spreadsheets for keeping track of IP addresses, and my network manager had hers. One day I assigned an address and she called to ask why I had assigned an address that she had just assigned. That’s when I realized we needed a better way to manage our IP addressing scheme. 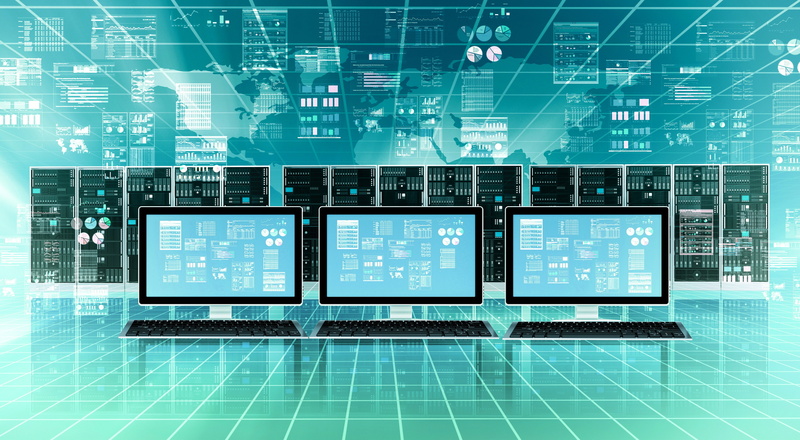 Because of my industry background, I was aware that IT departments in big companies have more powerful tools today for managing DNS, DHCP, and IPAM (DDI). I had read a white paper by a company named Infoblox about a solution for integrating and automating the management of DDI. The description of what the product could do was exactly what we were looking for. It would even help us consolidate the Microsoft DHCP servers we had scattered all over the district. Matt Frederickson is IT Director at the Council Rock School District in southeastern Pennsylvania. Council Rock is the twelfth-largest district among 500 in the state, with 18 buildings connected to its network and 13,000 users daily. Obviously, CRSD doesn’t have the IT budget of a Fortune 500 company. On the other hand, our mission is just as critical as any big commercial enterprise’s, and—with only 10 of us supporting 13,000 users—automation is just as useful to us as it is to big businesses. So we found the budget to make it happen, and now my staff is spending less time managing IP addresses and more time delivering new services to our teachers and students. We have a single pane of glass where we can drill down into graphic views for network information. We can expand our network using a point-and-click operation on a visual map, whereas with Microsoft, we had to draw it out on paper, plan it, test it, roll it out, and then fix all the mistakes we’d made. When you’re looking at it from a time standpoint, it just makes more sense. Based on the success we’ve had with the solution, we’ve added a network management component that simplifies the process of managing switches in an environment where we regularly add IP phones and roll out new applications for teachers and students. 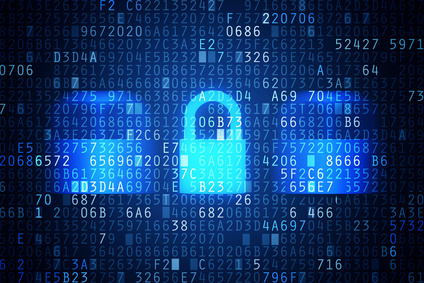 It might be a while before security is quite as critical for schools as it is for banks and big retail chains—but it’s definitely rising in importance. 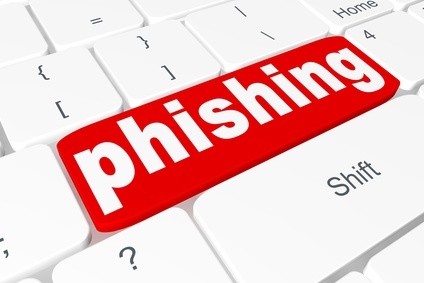 So we’ve recently added another enterprise product—a security solution from Infoblox that turns our DNS servers into self-protecting strong points that leverage the central location of DNS in the network to detect malicious outbound communications and block them before they can exfiltrate sensitive data or replicate themselves on additional devices. The solution has not only prevented compromises, such as curious students attempting an internal denial-of-service attack, but has helped us to identify ongoing issues such as a machine infected with a botnet that was replicating itself and affecting server and network performance. We resolved that problem with just five minutes work. Without the DNS-based solution, it would have taken three weeks. So if you’re considering enterprise solutions versus free products, put yourself in the enterprise mindset. Your job is to provide your customers with the best experience possible with the fewest resources. If you look at the total cost of ownership over the long term, you’ll see that what seems like a free product is costing you a lot in the time you spend managing it. Does our enterprise-grade solution cost money? Yes. Is it worth the investment? Absolutely. The network is the campus now, and campuses are about making connections. I would argue that for such a mission-critical function, school districts can’t afford to use anything less than commercial enterprises use. ASK Technologies, Inc. would like to invite you to try out Datto Drive, a brand new file storage platform built by our business partner Datto. Datto Drive is a best-in-class file sync & share tool that will allow your team to store and collaborate on all of your files and projects from any operating system or mobile device. Best of all, for the next year, 1 TB of cloud storage space is available for FREE for the first one million Datto Drive customers. As a Datto Premier Partner, we are able to provide you early access to this incredible offer. Let ASK show you how to maximize your ROI, with applications tailored to your unique processes and needs. From the desktop, to the internet, to the mobile device—ASK can help your company innovate, grow and run more efficiently. ASK Applications help you drive workforce productivity and take business growth to new levels. 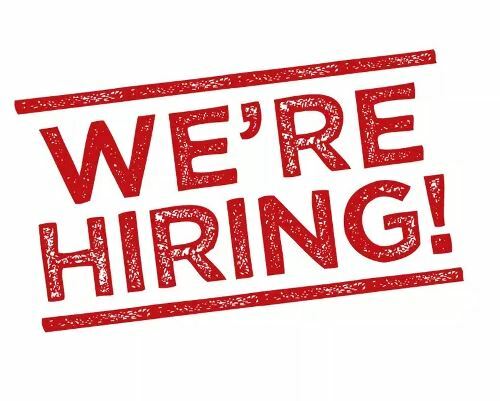 Our client server, website and mobile application developers are creative and have the technical expertise to translate business requirements into imaginative technology solutions. We provide the full spectrum of software engineering including research, design, implementation, testing and ongoing application support.